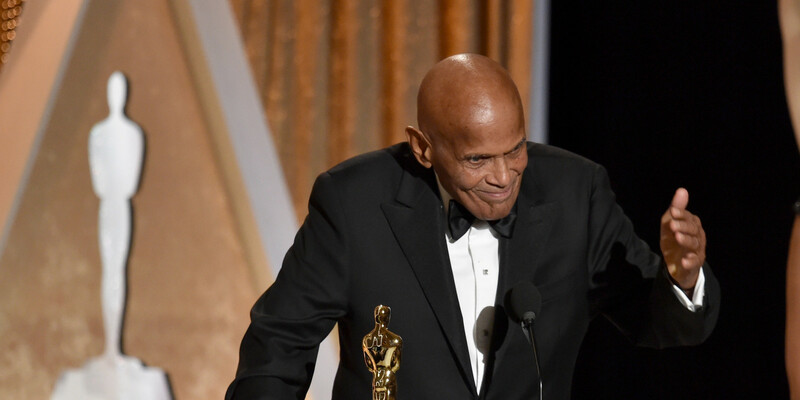 Last night I was watching the acceptance speech Harry Belafonte gave after receiving the Humanitarian Award from The Academy of Motion Picture Arts and Sciences. He is someone I have admired greatly for years, more for his activism and work with youth, than his acting. I prefer his musical performances to his dramatic ones. But having worked in film at a time before racial integration, the projects he chose to work in were deliberate in their revolutionary positions on race, social justice and class structure. Even he has said that he never wanted to be an actor for any other reason than to have a platform from which to positively affect social change. My favorite part of his acceptance speech is when he began to reverently and expertly break down the fundamental ways in which films like “Birth of A Nation” and “Tarzan,” while admittedly innovative for the time, helped to invent and stereotype popular ideas about who Black Americans and Black Africans were, to in effect plant the seed of hatred in the minds of Whites and Blacks alike. Even Belafonte was impressed as a young person, watching “Tarzan” for the first time. But he was clear that for people of color, awe and amazement were quickly stamped out by images of themselves that evoked and reflected the base fears of a dominant white culture that were bent on maintaining power over this medium by keeping aesthetic ideals of intelligence, beauty and heroism as white as could be. That hasn’t changed by the way. As an avid film lover with a degree in Media and Social Issues and as a woman of color I make it a point not only to study film but to try my best to understand what I am consuming when I watch films. Since the dawn of filmmaking there has only been one story to tell albeit in many different ways. The story is of humanity. We cannot tell any other story but this. Even in nature documentaries about animals, ecosystems, planets, everything that is being studied, or explored, or interpreted is being done through the human mind. We like mirrors. We hate mirrors. But if we do not look, we can never know we exist, how and for what reasons. The medium of film has been co-opted by the dominate culture for decades but the stories of humanity within them that have been allowed into the mainstream have been broad, compelling, heartbreaking, transcendent, universal and beautiful nonetheless. Like any form of art, you can find the voices you’re looking for even if they are not released by the big studios. But you have to look. And if you can’t find the voice you’re looking for, try using your own or supporting and encouraging those around you which hold promise. I know without looking at my film collection that it is primarily made up of white casts, and white directors. I can also guess that the majority of these directors are male. This is the world I live in. I can see myself in a story that does not include characters that look like me because as humans, we all share the human experience. But humane portrayal in film is not always shared equally across race and gender. Types stick. Genres and formulas generate buzz and bring in millions. And the deep psychological effects of racism and sexism play out on the big screen and the small in ways we are often depended upon to overlook as consumers. Being educated about the history of any medium of expression is to understand more about its present day incarnations and the ways in which the actual evolution or change in its depictions are usually more or less the same as they ever were for better or worse. With regard to film and the role it plays in enlightenment, exploration and inciting movement, it’s not always change that’s necessary, but a realization about why we tell stories the way we do in the first place. Our voices, stories, faces, our diversity is there. It has been from the beginning in directors like Oscar Micheaux and performers like Paul Robeson, in films like “Black Orpheus” and “Sugar Cane Alley” The problem is in the monopolization of the dominate eye behind the camera. And you can always tell whose eye it is because the same trail of evidence is left behind in each frame.